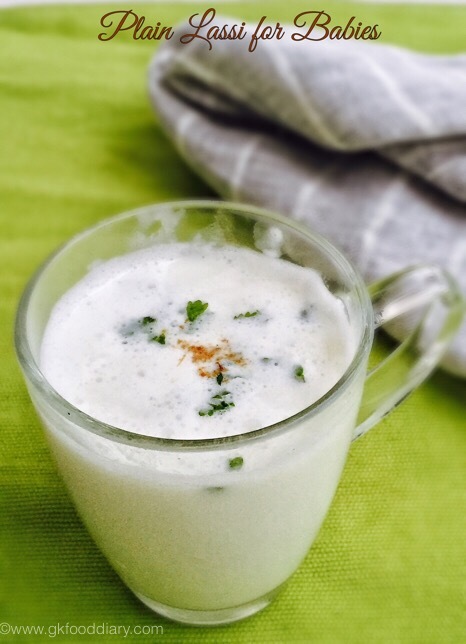 Plain lassi - drink made with curd/yogurt. Best quench thirster for babies in summer. Take ½ cup of curd in a mixing bowl and add jeera powder. Mix it well. Blend the curd and jeera powder with water in a blender to a smooth mixture. Then add sugar or salt as per your preference. Run the blender for 30 seconds or until frothy.